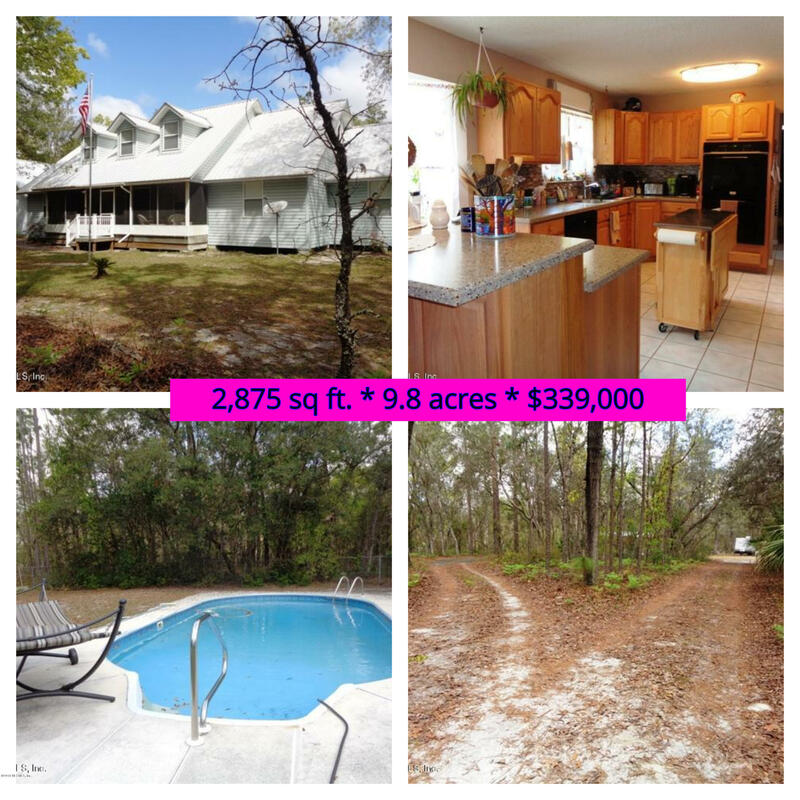 Postcard Setting on 9.8 acres of privacy! Pool home featuring four spacious bedrooms and 2.5 baths plus amazing loft that overlooks the family room. Lots of storage space throughout the home, two on-demand hot water heaters, and two HVACs. French doors on either side of the fireplace leading out to the vinyl enclosed 31 foot porch overlooking the in-ground pool and back yard. You'll also find walk-in closets, a jetted tub in the master bath, hot tub, and outbuildings.